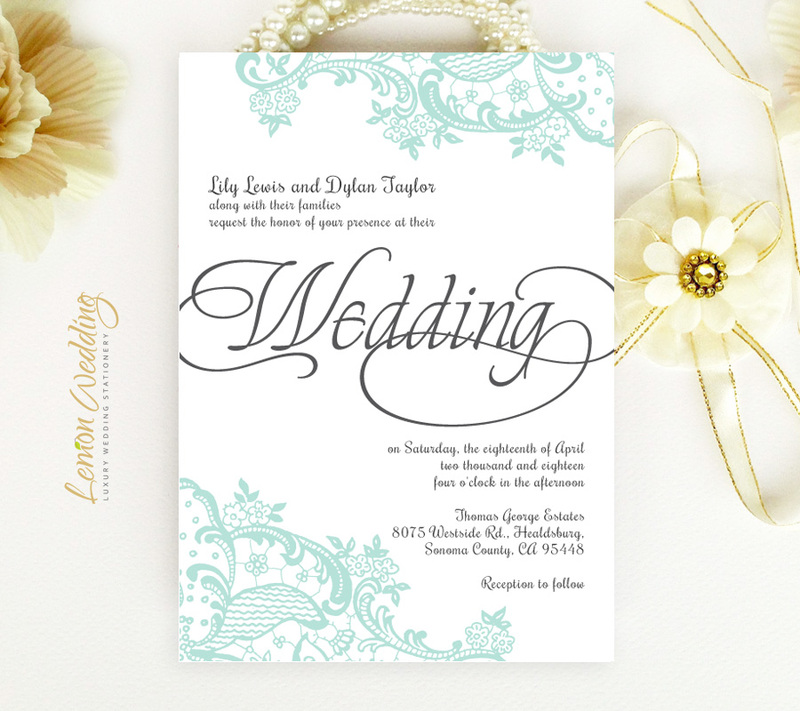 As a bride-to-be, your wedding is just around the corner! 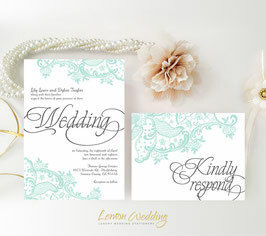 So let invite those close to you in on the event details with our elegant Mint Lace Wedding Invitations. 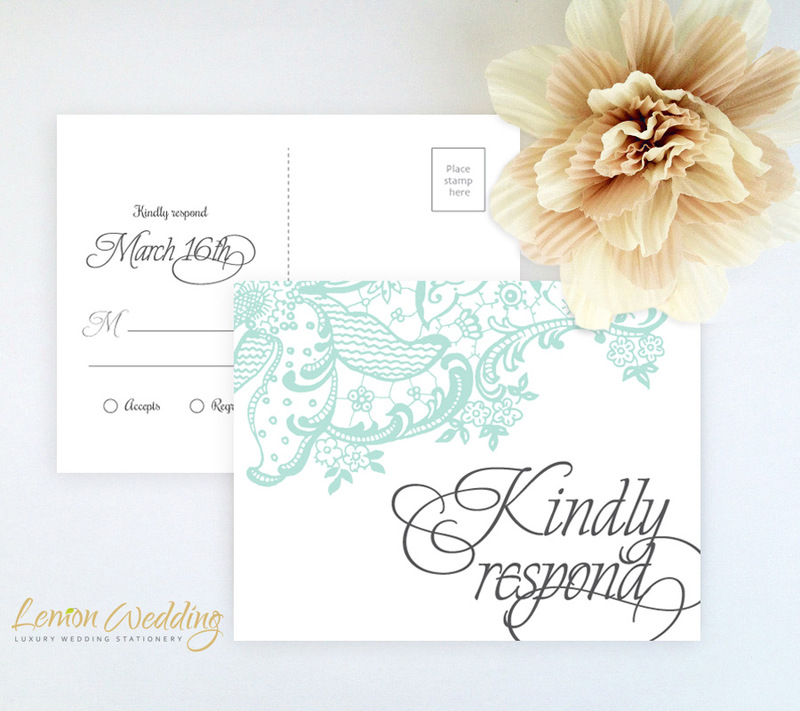 Made for a stunning wedding ceremony, our mint invitations are highlighted with a lace pattern in lovely mint. 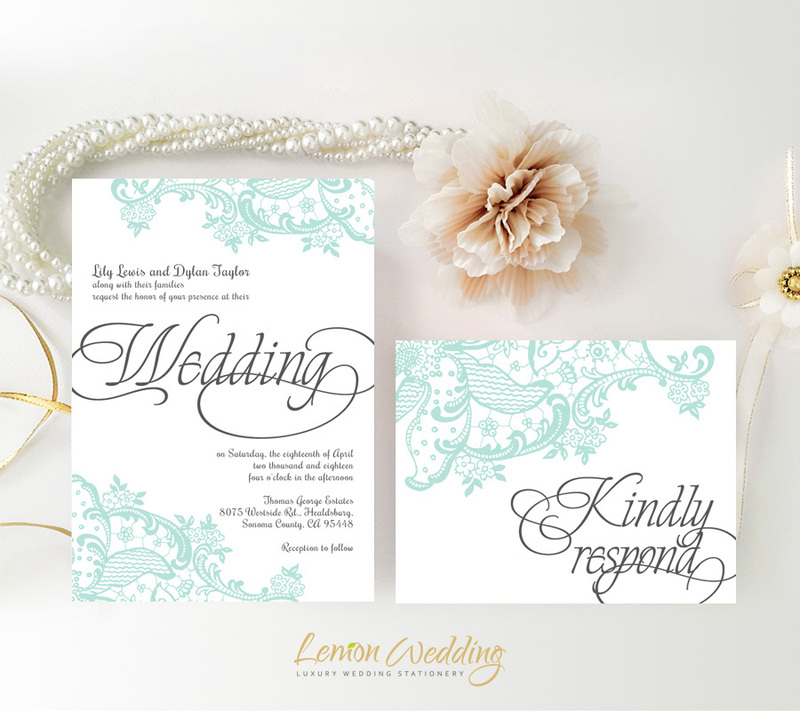 This wedding invitation set includes wedding invites and RSVP cards complimented with elegant calligraphy.